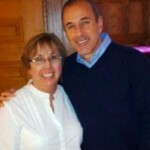 NBC News Comes to Central Florida B&B! Thurston House, the only bed & breakfast lodging in Maitland and Winter Park, had some excitement here this week. 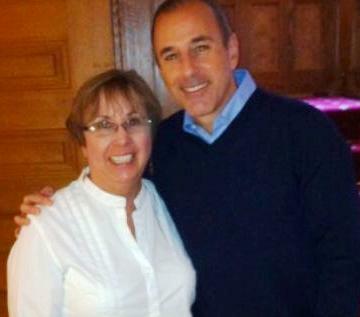 Matt Lauer, of NBC’s Today Show, interviewed a local family on our beautiful front porch. The setting was peaceful but the story is unsettling. This is the story of the Dad who got fed up with his special needs daughter being bullied on the school bus. Matt did interview them in NYC last month and this was a followup to the story. 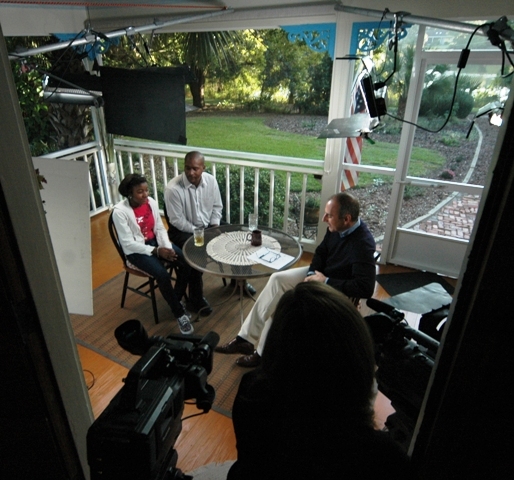 The Dad, James Jones, has been chosen one of NBC’s People of the Year for 2010! Tune in on Thanksgiving evening to see this – NBC’s People of the Year With Matt Lauer, November 25 – 9pm. See if you recognize the porch! This was the first time I had met Matt. He was very gracious, interested in everything, a very calm interviewer, and he loved my banana bread! What more could I want?? ?